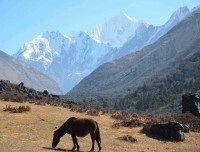 The Helambu trekking is a unique and perfect short trek in the Langtang region, which is situated towards the north- east nearby capital city of Kathmandu Nepal. This trekking is very famous for its Buddhist culture, natural beauty, and a majestic scene with positive climate. It is also popular for the wonderful vistas of white snow covered mountains. This is the short and close trek from the Kathmandu valley that provides the experience of the high Himalayan glimpse to the trekkers. This treks also provides the spectacular views of the Gauri Shankar Himal (7,134m), JugalHimal (6535m), DorjeLakpaHimal (6990m), Ganesh Himal (7405m), Langtang Himal (7245m) and other beautiful small mountains of Langtang range. The Helambu valley is mostly settled by the Tamang and Sherpa people and you get a chance to explore the Hyalmo culture of high mountain people. It also gets opportunity to learn and explore their ideal culture and lifestyle. The stunning scenery of the mountain and majestic waterfall, Buddhist Gompa, stone wall (Chorten), natural diversity and the beautiful landscape with terraced paddy fields and Helambu valley makes your travel a joyful and life time experience. There are two possible trekking routes for the Helambu Trekking. The first route, which is the harder one, it is starts from Ganja- La pass, a very famous pass in the Langtang region. The second one is quite easy and favorite route, which is the most trekkers used it. 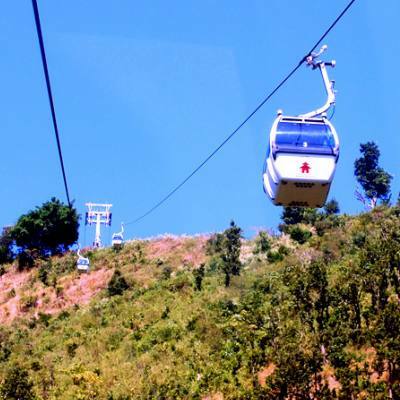 It is also accessible point, starts from the town of Sundarijal. This place is the starting point of the trekking, which possible to begins with a short and easy drive from the Kathmandu. The Helambu trekking gives with amazing things of exploring the wild forests which are the home of the various flora and fauna. From the Sundarijal, you climb up through the Shivapuri National Park to the Shivapuri hill from where you can see the excellent view of Himalayas. In this trek you pass through the rhododendron and bamboo forest, Sherpa and Tamang community who follow Buddhist religion and Mountain View points like Kutumsang, Magin Goth, and Hyolmo village. When you reach to Tarkegyang will visit the oldest and largest monastery in this region. Later, you will get down to Melamchipul Bazaar and drive back to Kathmandu. Nepal Glacier Treks and Expedition offer short and easy 9 days Langtang Helambu trekking package, which begins with a pleasant drive from Kathmandu to Sundarijal. The maximum altitude the trekkers get across during the trekking is around 3210 meter which is the high altitude of this trekking. The best season to travel for Langtang Helambu trekking are spring (March- May) and autumn (September- November). This perfect short trekking will be led by our expert English speaking mountain experience trekking guide. We have been providing best quality service in the mountain while on trekking. We always provide the best accommodation throughout the trekking. Our customers are very important and their feedback, you can read a review in website easily. The cost will be affected in the package, it is reasonable and acceptable to all. Hopefully, you will enjoy the Langtang Helambu trekking, it is truly fantastic and lifetime experience. Hotel Accommodation in Kathmandu *** star Hotel on Bed & Breakfast basis. Meals on full board (Breakfast, lunch and dinner) and boils water in mountain while trekking. Available Local fresh fruits while on trek. All Staff salary, insurance, equipment, flight, lodging and fooding. Certain Sightseeing / monument entrance fees. Day 01Arrival in Kathmandu (1300m)After arrival at Tribhuvan International Airport (TIA) in Kathmandu, you will meet our representative who will receive you outside the airport with Nepal Glacier Treks & Expedition’s signboard and transfer to your respective hotel by private vehicle. You will enjoy the evening yourself and then have a pleasant stay at hotel in Kathmandu. Day 02Pre- trip meeting and Kathmandu valley sightseeing On this day, after breakfast in the morning, at around 8am, we call a pre-trip meeting at your hotel in Kathmandu and introduce your trek leader/guide. Please get this opportunity to ask questions about your trek, tour and important things. In the meeting, please make sure you bring passport, three copies of passport-size photos, and a readable copy of your travel insurance policy. During this meeting and please clear the due balance. After meeting we will begin our Kathmandu valley sightseeing including the cultural and historical site of Kathmandu Durbar Square, Patan Durbar Square and largest legendry Buddhist stupa of Swyambhunath and Bouddhanath, and very famous sacred hindu temple of Pashupatinath which are listed in world heritage sites by UNESCO. 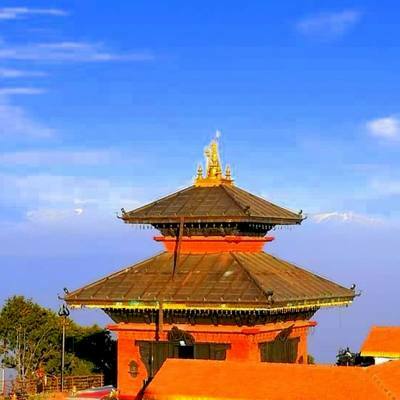 If we have plenty time, will visit Bhaktapur Durbar Square- it is city of Devote and you can also buy personal trekking equipment as you will be leaving for the Himalayas trekking. And then back to hotel and trek preparation and then have a pleasant stay at overnight in Kathmandu. Day 03Drive to Sundarijal and Trek to Chisapani (2194 m) 4- 5 hour On this day, after breakfast in the morning and then 1 hour pleasant drive from the Kathmandu to Sundarijal, located 15 km north- east nearby from Kathmandu. It is the starting point of the trekking and the trails moves through the lush forest, and then you will reach the Tamang village of Mulkharka. You will head up a little before lower down through the rhododendron forest to Chisapani. Overnight stay at guesthouse. Day 04Trek to Gul Bhanjyang (2130m) 5-6 hour Leaving Chisapani early in the morning, you will walk towards Gul Bhanjyang on the fourth day. Today, we get chance to explore the beautiful villages. The Pati Bhanjyang, which is a small Brahmin and Chhetri village situated between Chisapani and Gul Bhanjyang. From here, the trail goes down through the village of Chipling and Thodang Betine, offering stunning views of Langtang Himal, Ganesh Himal and many more. Upon arriving at Gul Bhanjyang, you will spend overnight at guesthouse. Day 05Trek to Thadepati (3690m) 5- 6 hour This day in the morning, we climb up via Kutumsang village in a steep trail through the rhododendron and fir forest along the way. In this trekking, we pass the village and wonderful mountain behind us. You will also cross Yurin Danda and Magen Goth before arriving at Thadepati. Finally you reach Thadepati, from here you can see the fantastic sunset in the Numbur Himal range and Jugal Himal and good views of Helambu valley below. Overnight stay at guesthouse. Day 06Trek to Melamchi Gaun (2530m) 5- 6 hour This is our six day’s itinerary, we will head towards the village of Melamchi Gaun. The trail goes down through the mix forest and rhododendron as you can enjoy the singing of the local birds. After that you will cross Chhyadi River over a bridge to smoothly climb to the beautiful Sherpa village of Melamchi Gaun. This is an amazing Sherpa village and you can visit around the village before spending overnight. Overnight stay at guesthouse. Day 07Trek to Tarkeghyang (2600m) 6 hour On this day, you will descend down to Melamchi River from Melamchi Gaun. After crossing Melamchi Khola, the travel will make you refresh and wonderful. And then will you walk smooth trail before moving to Tarkeghyang. Tarkeghyang, where you can see a beautiful Sherpa village, the oldest and biggest Buddhist Gompa. The Gompa is situated in the Tarkeghyang, is very popular amongst the visiting tourist. This is also the biggest and oldest Buddhist monastery in the region. Overnight stay at guesthouse. Day 08Trek to Sermathang (2590m) On this day, you will cross the dense forest, small rivers and wonderful waterfalls. 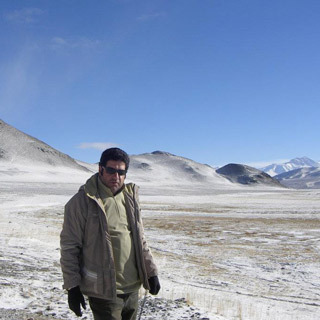 You will reach Sermathang from Tarkeghyang after walking about five hours of easy walk. You will also come across the unique and beautiful Sherpa village of Gangyul and progress further through the forest and Chumik. From there, you will walk little up to the big Sherpa village of Sermathang. This is very famous for the wonderful views of Langtang Himal, Ganesh Himal, Gosaikunda Himal, Rolwaling and also Mount Everest. Overnight stay at guesthouse. Day 09Trek to Melamchipul Bazaar (890m) and drive back to Kathmandu Today, this is your final day of the trekking. You descend to Melamchipul Bazar from Sermathang. On this day, we can see the beautiful villages and pine forest. There is mostly settled by the Sherpa and Tamang people and also people of ethnic. At Melamchipul Bazar, we catch a local bus to Kathmandu. Overnight stay at hotel. Day 10Final departure This is the last day of your package. You will be assisted with your last moment preparation and dropped at Tribhuvan International Airport (TIA) Kathmandu from where you will board the flight to your next destination. Have a Nice Journey…..